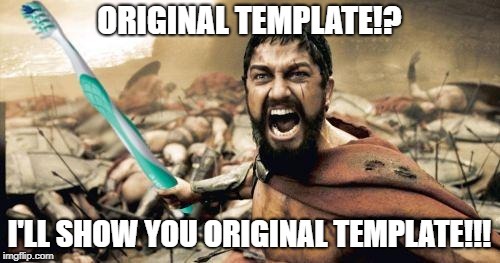 I've been away, and would love to see your original templates below. You have good stuff. 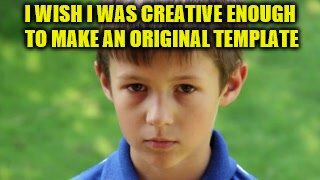 I'll bet you come up with awesome ones. 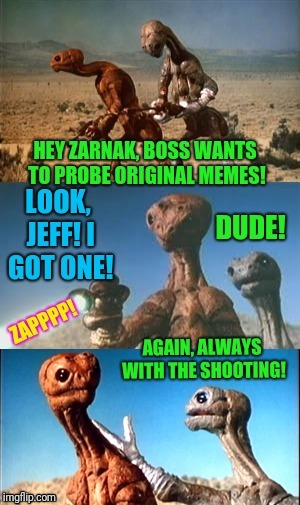 HEY ZARNAK, BOSS WANTS TO PROBE ORIGINAL MEMES! DUDE! LOOK, JEFF! I GOT ONE! ZAPPPP! AGAIN, ALWAYS WITH THE SHOOTING!